We saw this on our train car today. Very comforting! 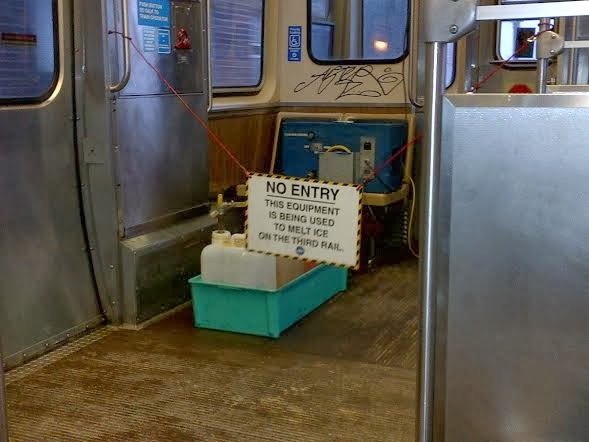 "This equipment is being used to melt ice off the third rail"